From setting a world record in the Arabian Desert to arranging the perfect club expedition in the UK, we’ve got it covered in the April/May issue of S&G. 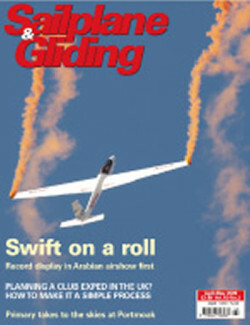 When the CRH Swift Team took part in the sixth Al Ain Aerobatic Airshow, performing the first glider display in the region, the Arab hosts were endearingly perplexed by the glider – convinced that only magic could make it fly. Not only were they treated to a breathtaking aerobatic display, but also witnessed Guy Westgate’s world record of 14 consecutive rolls, achieved during an inverted and rolling aerotow. That’s over one minute of constant rolling! A bit closer to home, veteran club exped organiser Ian Atherton shares his experience in making arranging an expedition in the UKsimple and effective. Find out how good planning and effective communication can really help club members expand their horizons. John Henry took to the skies in a Primary at Portmoak, a mere 60 years since his last flight on type. Ian Easson was on hand to discover more about the syndicate behind this glider restoration project. Moving from the past to the present, Jochen Ewald reports on new gliders from the ‘big three’ German glider manufacturers, all of which look likely to take to the air during this year. They are Schempp-Hirth’s Arcus, Schleicher’s ASH 30Mi and ASH 31Mi, plus the DG-1000. Also in this issue: We report on the BGA Conference and AGM, which BGA Chairman Patrick Naegeli says cannot fail to have left people feeling more than a little motivated about the coming season. BGA Development Officer Alison Randle highlights key messages from the 2009 Chairmen’s Conference and Treasurers’ Forum. 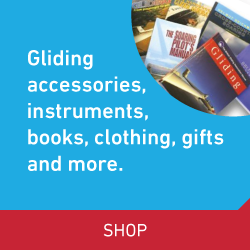 Lance Cole continues his entertaining tale of life Down Under as the gliding equivalent of a surf bum. Find out how Portsmouth Naval rose to the challenge when the CAA advised that any radio operator on the ground had to be certificated and approved formally as an air/ground operator. 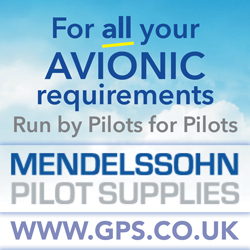 Peter Moorehead provides practical advice and reminders for all pilots, regardless of experience, on avoiding controlled airspace. Andrew Jarvis looks at the centenary of a significant aviation first for gliding. The Air League is also celebrating its centenary, and has great plans for the future – Andy Perkins talks about initiatives to encourage air cadets who have gone solo to join sport gliding. For John Sorrell, researching archaeological discoveries from a motor glider became an obsession – discover the perfect conditions to glimpse the past from above. Anglia Sailplane’s Stu Hoy reports on an unusual university project involving an EA9 Optimist and a number of electric motors and, of course, S&G’s Gliding Gallery features more of your fantastic pictures. Summer soaring is just around the corner. Safe flying.